Eyebrows are a very important part of your face and its shape and appearance can affect your look completely. Eyebrow shapes can be used to make faces look full or narrow as per the requirement. The first step is to determine whether you have a square face. How to Identify A Square Face? Square faces usually have the same width at their jaw and fore head with sharp square jaw line. This means that there is a harsh square jaw line on the face which makes it look broader than usual. A round face also has the same width as the forehead and the jaw. But in the case of a round face there are no strong angular features and the chin is not pointed. Whereas for a square face the chin is pointed. Square faces usually have a very prominent jaw line and pointed chin. Also they usually have a high forehead. But this can be quickly fixed with the help of a few tricks and tips. Here we discuss some eyebrow shapes for square face which would look great upon square faced beauties without making their face looking broader. We suggest three eyebrow shapes for square face which usually look flattering. These shapes would work great on them without making their face look broader: See the picture above for the reference. There are two angled brow shapes ─ soft and hard angled. The soft angled shape has soft curves and peaks. The shape can have low, medium and high arches. High arches slim down the face. The hard angled brow shape would make your face appear young. This shape makes the face appear long. So, people with short faces can try them. Yet, this shape would create a harsh look on a few. How To Achieve This Shape? The soft and hard angled brow shapes make the face look delicate. The shape is straight and then curves gently around the top and down the corners of the eyebrows. The curved eyebrow shape is also called S shaped. This shape is slightly similar to the soft angled brow shape. It generally makes the face look longer than usual. The shape begins with a slight curved line, and is rounded at the angle of the brow. It is a blend of a curve and an angle. The shape makes the brow resemble the alphabet letter ‘S’. So, the shape is called S shaped. The S brow shape has a medium to high arch. A slight curve should be created for this shape. The brows should be kept straight towards the nose to create the curve. This shape goes perfectly well on a square-shaped face. The soft angled brow shape is a well-defined one, but it is kept rounded at the beginning. The angles are soft, and not too sharp. You can have low, medium and high arches, as per your preferences. You can also have a thin or thick angled brow shape. For a dramatic look, choose a high-angled brow shape. However, a soft angled shape with small arches is considered the best. This shape adds more femininity to your face. Choose a thick eyebrow shape for square face, if you have strong cheek bones to complement your face structure. 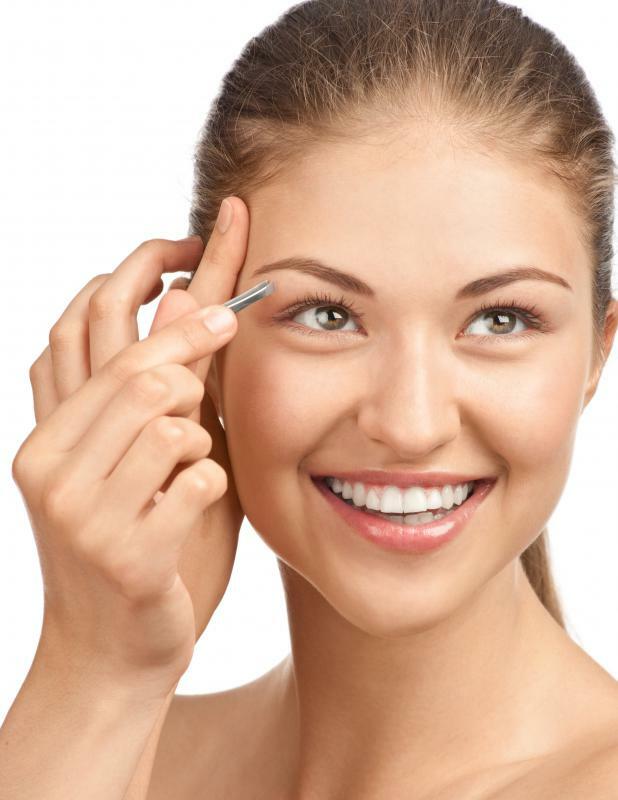 It is best to avoid high or sharp angles for your brows. The soft angled shape makes the face look soft and delicate. It also tends to make your face appear long. The shape is straight with soft curves at the top and bottom of the brows. A light color brow pencil or a brow brush can help you to achieve this shape. The brow brush can make the sharp edges soft, and make the brows look natural. This shape would be flattering for square-faced people. We also suggest staying away from both the round and the flat eyebrows. 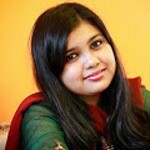 Eyebrows for round shape face make your face look rounder and the flat ones also add to the roundness. Here are some perfect eyebrows for square face that even our celebrities endorse. Jessica Simpson is an american actress singer and fashion star with a square face. Her eyebrows are mostly seen to be of high angled shape which makes her face look less full and gives a good look to the face. She uses the high soft angled look to make her face look longer and the high arch helps in creating a visual effect of the face being narrow and long. Her eyebrows are thin and not very thick. 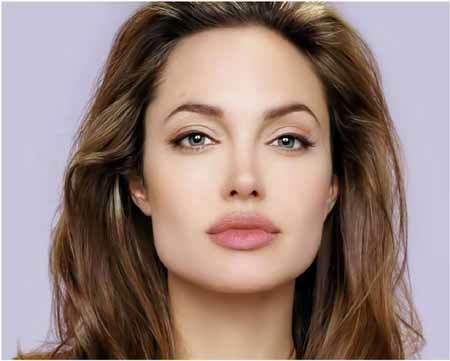 Angeline Jolie uses her medium thick eyebrows to frame her face. She uses a soft angled eyebrow shape to make her face seem longer and also uses the soft arched shape to keep her face looking slim. She uses the high arch which helps in creating an illusion of a long face. Here is another style you can try when doing eyebrows for a square face. Here we see that her arch is not a high arch but a soft arch which comes down neatly. She keeps her eyebrows thick and natural. As far as eyebrows are concerned going super thick will not always look good. Fill up your eyebrows and keep the arch subtle. Demi Moore has a square face, so her face looks more strong and angular. She often chooses soft or sharp angled eyebrow shapes to balance her features and to even out her square jaw line. Demi Moore also chooses thick eyebrows. Often people get confused whether Kareena Kapoor has a long face or a square one. Well, she has a square face. Earlier she used to keep flat eyebrows. But of late, she often chooses to have curved brow shapes with high arched brows. This transformation has really helped her look more glamorous. Did you find this article helpful? Let us know your views in the comments below.